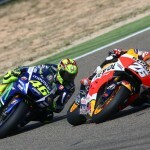 【Unibet】Can Marc Marquez Finish Strong in Aragón & Take the Title? Bookie Unibet unveils the odds for who has the inside track to take this year’s Aragón race as the season gears up for the final straightaway! 【Marathonbet】The Chase for the Sprint Cup Heads Down the Final Stretch! Who’s Favored to Take the Crown? 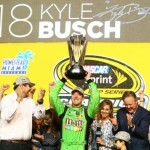 Sportsbook Marathonbet highlights those drivers favored to take the overall checkered flag and become this year’s Sprint Cup champion. 【Bookmaker】Who’ll Skate to World Cup Glory on the Ice in Toronto? The Odds are Out! European bookies Unibet & Betsson highlight the favourites for this year’s World Cup of Hockey. How does your team stack up against the competition? 【William Hill】Can Real Romp to Another CL Title? The Odds are Unveiled! UK bookmaker William Hill discloses the favourites for this season’s CL action. Will a new champion be crowned come May? 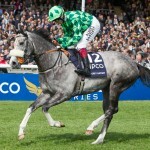 【Bookmaker】Who’ll Triumph the Pack in the Irish Champion Stakes & Prix du Moulin de Longchamp? Can an Aidan O’Brien trained horse ride to glory? Bookies Betfred & Paddy Power provide insight on those favoured! 【bet365】The FIFA 2016 Futsal World Cup Hits the Shores of Colombia! Can Brazil Continue their Dominance? Bookmaker bet365 shares insight on who has the best chances of ascending to the top of the futsal world! Can Spain de-throne Brazil in South America? 【Bovada】The Road to Super Bowl LI Kicks Off! Can the Peyton-less Broncos Defend their Title? America facing online bookie Bovada’s betting lines are out! Find out which teams are the favorites to be division and conference champs in 2016.